The State Legislature is considering an amendment to the definition of shoreline. HB1808 HD3 SD1, "clarifies that a shoreline is the edge of natural vegetation growth or the upper limit of debris left by the wash of the waves, whichever is further most mauka, but never lower than the upper limit of debris left by the wash of the waves." See Stand. Com. Rpt No. 2993. The bill passed the house and will be heard for its last reading by the senate. The bill will likely pass the legislature and be transmitted to the governor for her consideration. [T]he upper reaches of the wash of the waves, other than storm and seismic waves, at high tide during the season of the year in which the highest wash of the waves occurs, usually evidenced by the edge of vegetation growth, or the upper limit of debris left by the wash of the waves. "Shoreline" means the upper reaches of the wash of the waves, other than storm and seismic waves, at high tide during the season of the year in which the highest wash of the waves occurs, usually evidenced by the edge of natural vegetation growth, or the upper limit of debris left by the wash of the waves[. ], whichever is further most mauka, but never lower than the upper limit of debris left by the wash of the waves." The amended shoreline definition picks up on Diamond's prohibition on extensions of the vegetation lines by modifying "vegetation" with the adjective "natural." Unfortunately, this may not clarify the court's holding. What is "natural" vegetation? Is irrigated vegetation not natural? The legislature is also focusing the evaluation of the shoreline boundary on the debris line. The amendment states that the shoreline shall never be "lower than the upper limit of debris"; however, what if there is no debris line? The law, as it is, gives the DLNR (the agency responsible for certifying shoreline boundaries) two methods for determining the shoreline boundary: the debris line or the vegetation line, whichever is higher. Determining the shoreline boundary is not a science, but an art. It is not always apparent where the shoreline is located. DLNR should have the discretion to use the method that best fits a particular situation. If there is disagreement among interested parties, an administrative appeal process exists. Given the Diamond decision, the law does not need to be changed. DLNR has the tools it needs to certify a shoreline boundary under current law. For more on shoreline and littoral landowner issues, see Shoreline. 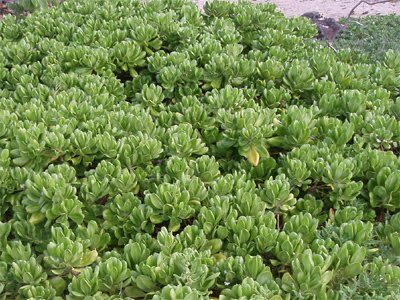 I'd be interested to know how the State will be able to distinguish between naturally occurring naupaka and cultivated plants. Will sprinkler systems and soil samples showing commercial fertilizer be required to show cultivation. Will the courts say you are guilty until you can prove your innocence. I ask this because I have naturally occurring naupaka long the sand in from of my house. I didn’t plant it and I consider it a pest. Will I now be fined for something that is an act of God? The state should offer grants to pay for naupaka eradication. I can foresee interminable litigation for contentious sites, where one side will argue "there was no visible debris line" and the other side will cling to a few twigs or other minor castings as being sufficient evidence of a debris line. The circuit court will take over the job of the DLNR shoreline specialist, who does an incredibly masterful job of not only making defensible "calls," but also of explaining the criteria and rankings of criteria better than any proponent OR opponent could ever ask for. I agree that the downside of the pending bill is greater than any benefit of restating narrow elements of the Diamond decision.